Baaa! On the hour our charming sheep pops out of the doors to bleat her greeting. 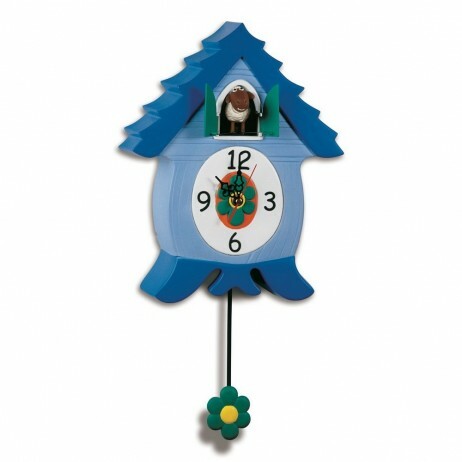 The EweCoo sheep clock comes in a blue housing with a swinging green pendulum. For nighttime a light sensor automatically shuts off the character when the room becomes dark. For encore performances there is a button on the side. 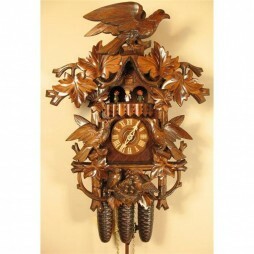 Popular since the mid 1800s, this One-Day Bahnhausle-style Cuckoo Clock takes inspiration from the Bahnhausle design. The clock takes notes from the twirling grape vines. Overall, it has an alluring design combined with German watch making skills. 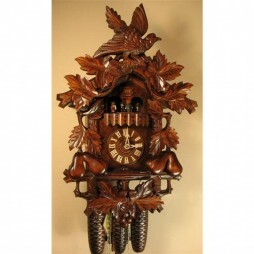 Coming from the house of Rombach und Haas, this one is a special hand-carved clock with a 4-color inlay. 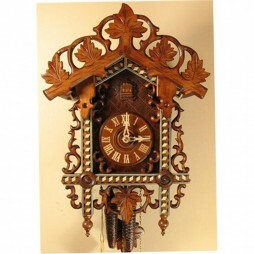 The dial is also crafted with wood, just as the frame. It is a VDS-certified replica of official Black Forest clock. 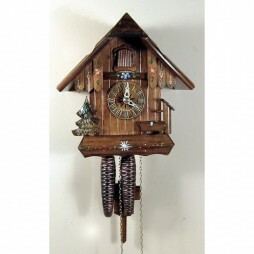 Get this one today and let the echo of its deep cuckoo call enrich every corner of your home.